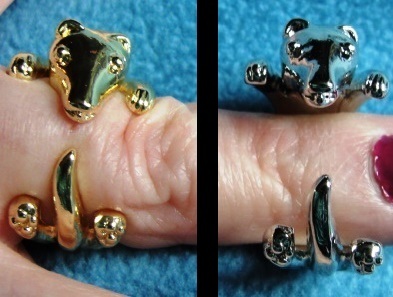 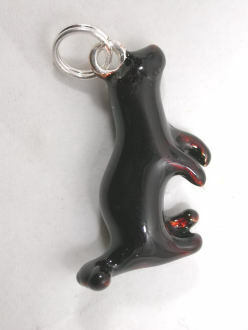 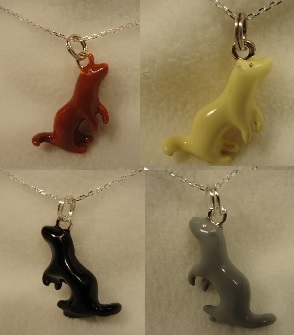 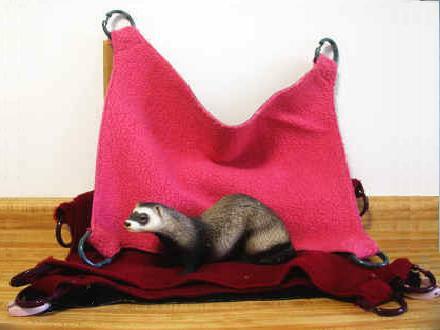 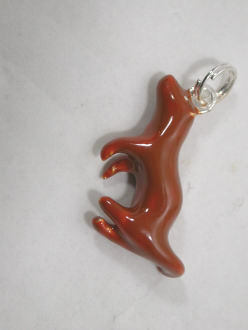 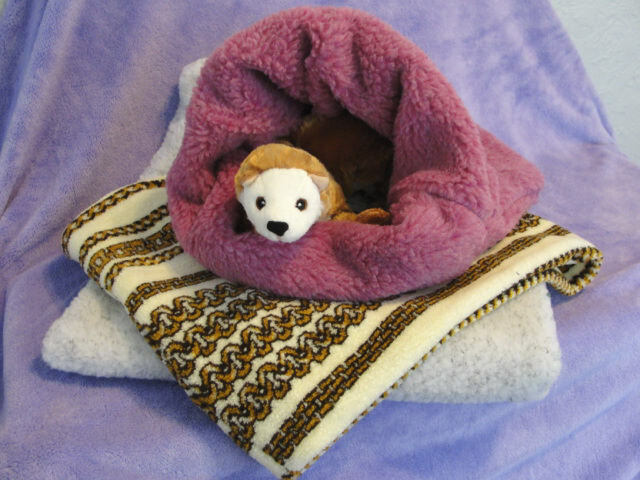 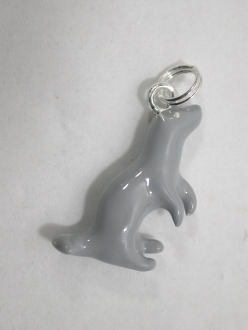 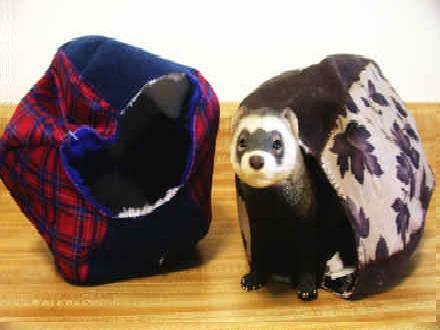 A Ferret Association of Connecticut exclusive treasure designed and produced to benefit FACT's shelter work. 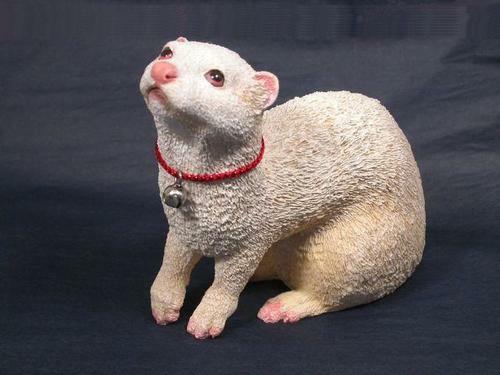 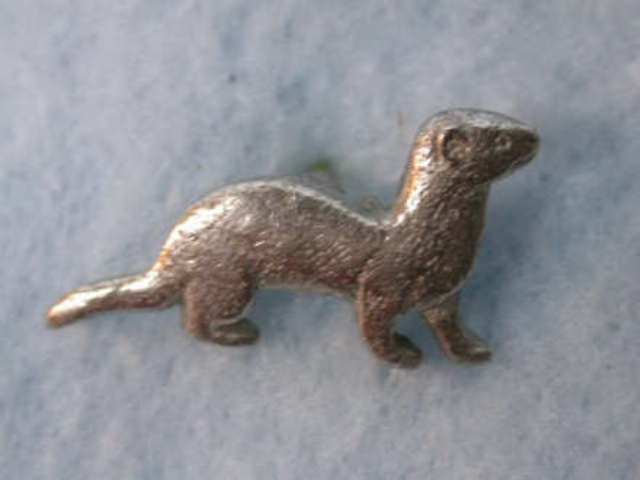 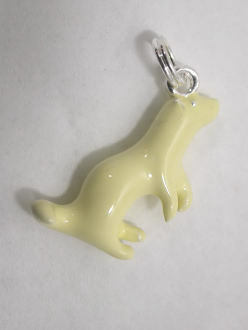 Made in a silvertone metal alloy, a 3 dimenstional charm hand painted in enamel depicting a standing ferret. 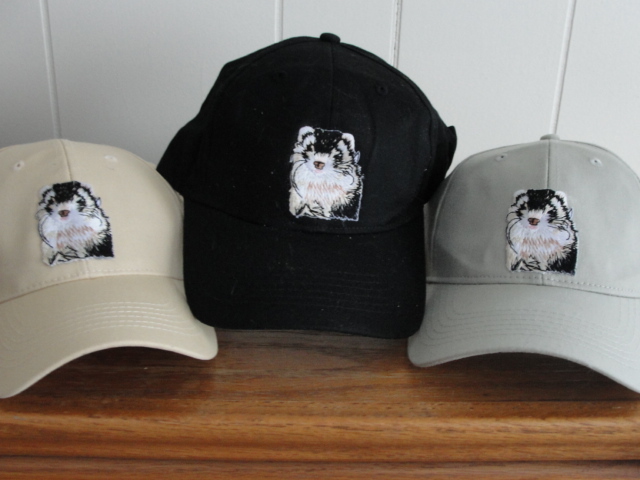 Comes in any of 4 different colors: Sable(dark brown), Chocolate (a sandy color), Silver (grey) or Albino-dark eyed white (DEW). 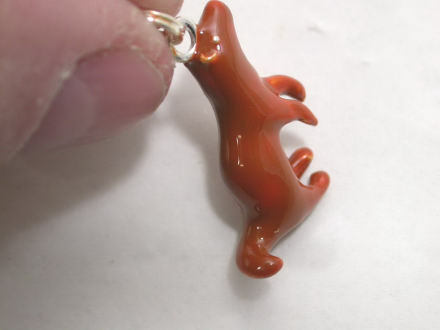 The enamel is carefully hand painted, not dipped, to allow the eye to show through and, on the darker models, to show some distinction in the color opacity giving them a toned look This charm has enough "weight" to it that it hangs nice and straight. 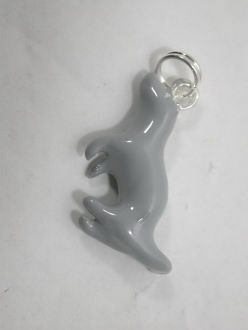 It measures appx. 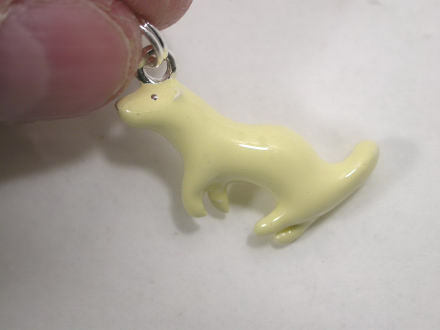 3/4 inch tall from the top of the head to under the feet. 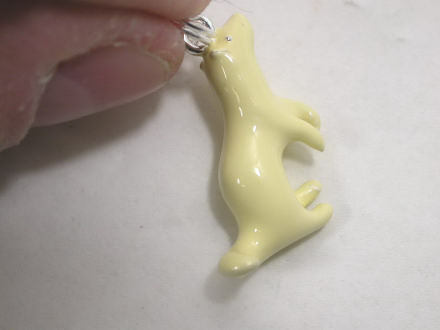 It come with a jump ring and can be used for a charm bracelet, as a pendant, or used in pairs as earrings. 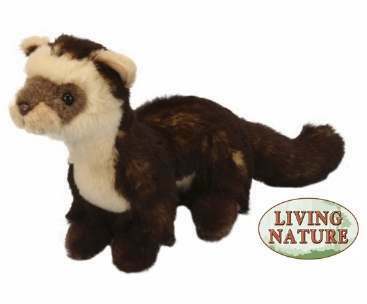 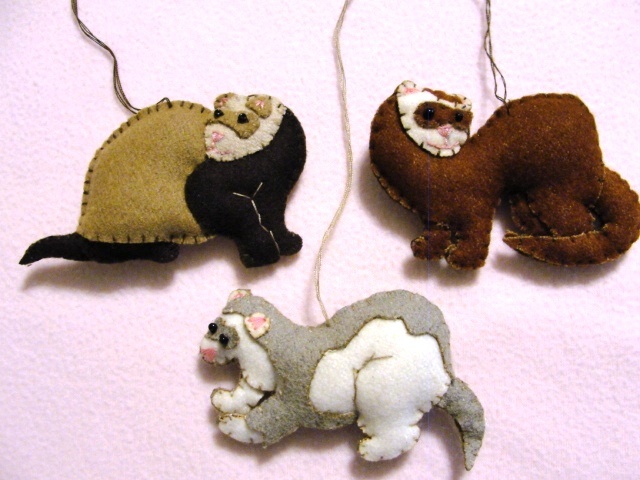 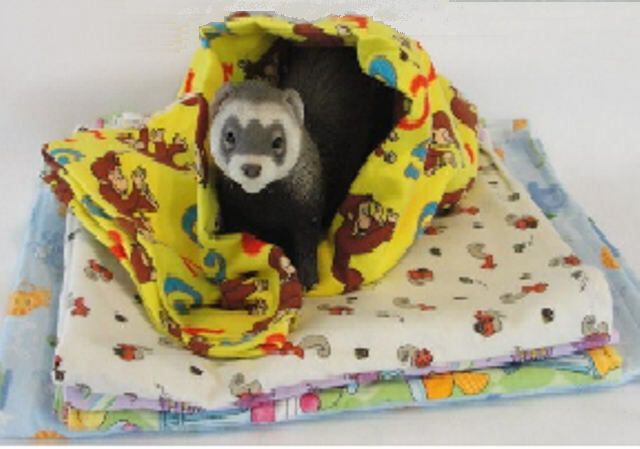 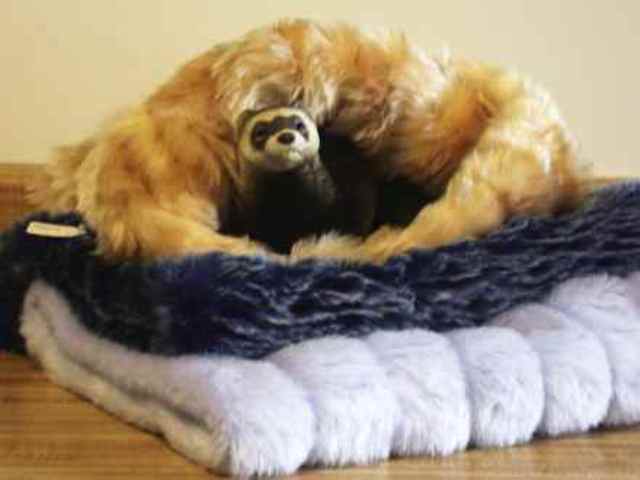 These are must haves for the ferret lover! 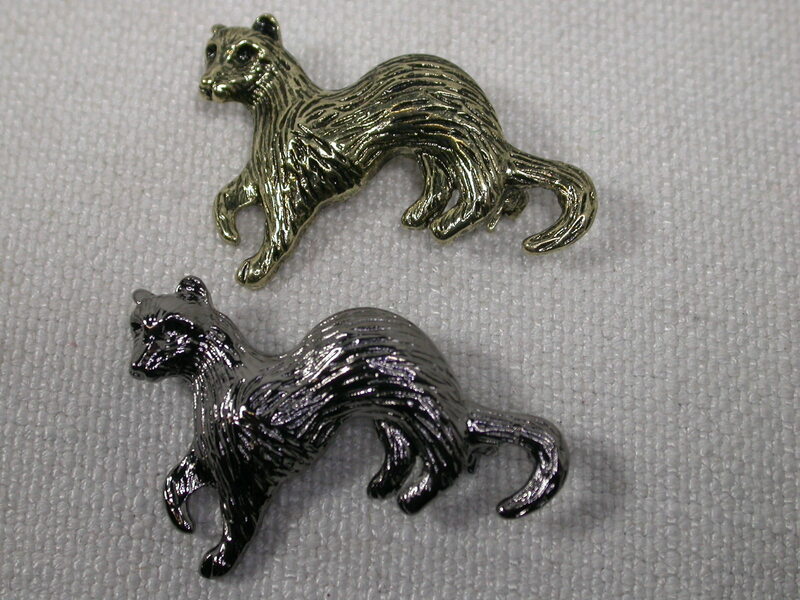 Please note, these will not stand on their own as a mini-figurine.